The true monstrosity in TALES FROM THE CRYPT is the decor, with Joan Collins’ suburban house of horrors taking the less-than-ideal home prize. Joan bludgeons her husband to death with a poker on Christmas Eve, causing him to spurt poster paint onto his Burley Observer, but she’s had the misfortune to do this as another burly observer is on the loose, a hulking escaped lunatic dressed as Santa. Robert Zemeckis remade this for the TFTC TV series, and his version had a lot of kinetic running about and a certain amount of padding. 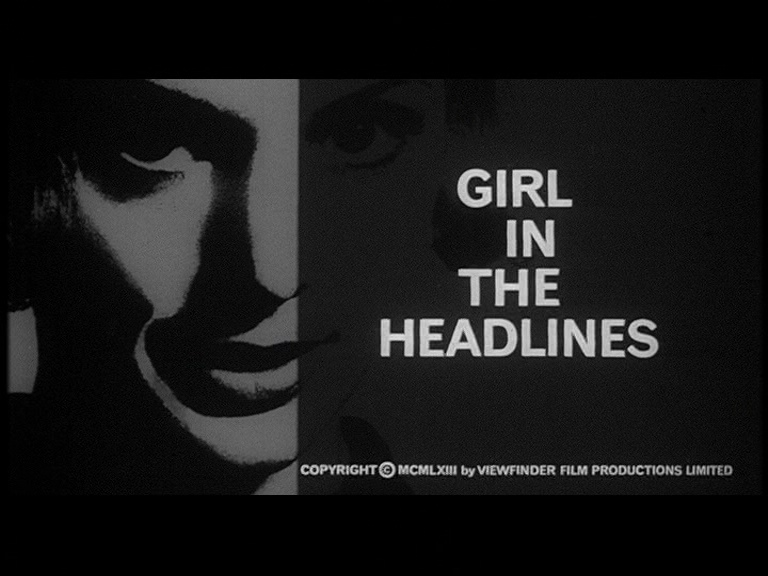 Freddie Francis directs the original with nicely judged compositions and one genuine shock. Plus the hilarious gag of the blood-soaked bubbles going down the drain, which form the colours of a Santa suit and beard. Freddie Francis, appearing at the Edinburgh Film Festival some years back (when he was alive), said that in his horror films he had always tried to splash the blood on extravagantly until it got silly, because he didn’t think these things should be taken seriously. Nowadays, the dribbling grue looks positively underdone, apart from its lurid hue. Not an obvious choice for producer Milton Subotsky, one would have thought — a horror producer who disliked gore makes two compendium movies (this and VAULT OF HORROR) based on notoriously bloody American horror comics which had been banned in the UK fifteen years before. But of course they were very successful — following the earlier DR TERROR’S HOUSE OF HORROR they exploited the marquee value of a dozen or so name actors, each of whom only had to do a couple of days’ work. 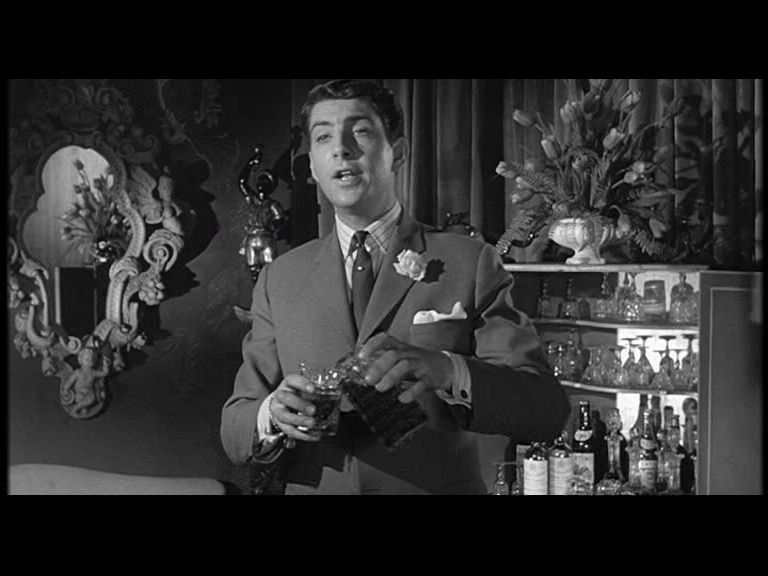 Unlike most Amicus films, TFTC is a bit depressing, as every story takes place in a world of horrible people and cruelty. The innocents are there to be tormented, until they too turn vicious. It’s disturbing not just because it’s a darker vision of humanity, but because it has more in common with reality than the typical horror world-view of easily-recognized goodies and baddies. The theme is most powerfully illustrated in the Peter Cushing episode. This already has a creepy reality, since Cushing plays a windower and performs to a portrait of his real late wife, who is given her real name, Helen. 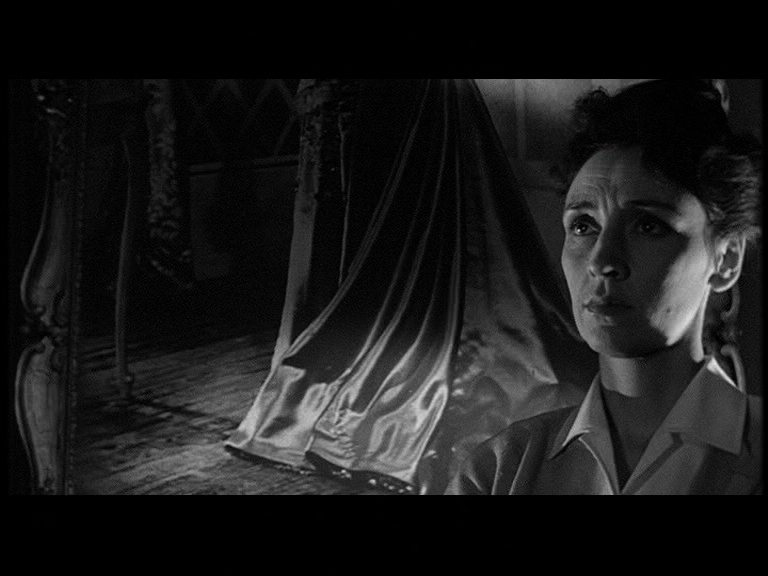 His character is persecuted to suicide by a nasty neighbour, and Cushing revels in portraying uncomprehending agony. 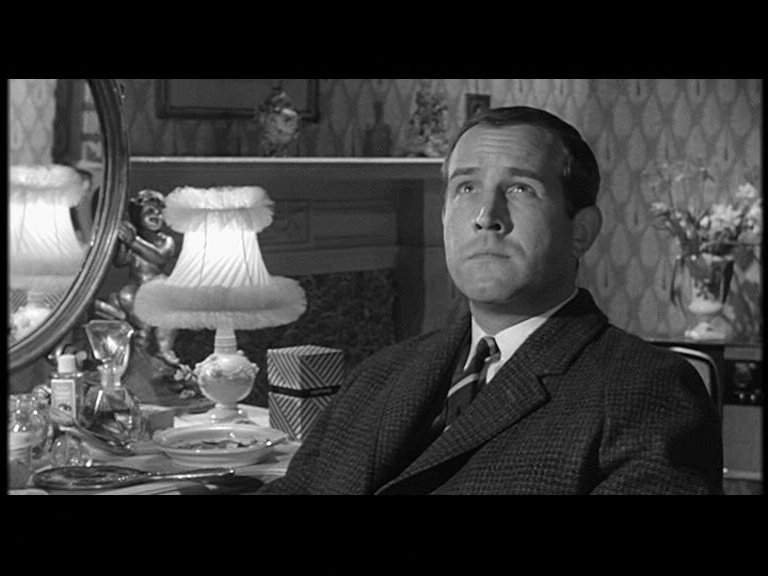 Freddie Francis, who up till now has seemed excited only by gliding his camera elegantly through awful rooms, and jibbing precisely across macro-details, is hypnotized by Cushing, lingering on his suffering face as if suddenly discovering a human connection. The final episode reprises the dynamic of FREAKS — disabled people take a horrific revenge on a persecutor. Francis was a fan of Whale and Browning, and was disturbed by the fact that many horror fans didn’t know anything about them — they’re interest was purely in horror, in representations of violence. Nigel Patrick being made to run a razor-blade maze in the dark brings the movie’s fascination with horrible furnishings to a crescendo, centering as it does on the creation of one living hell (the unsympathetic asylum for the blind), then another (the maze). 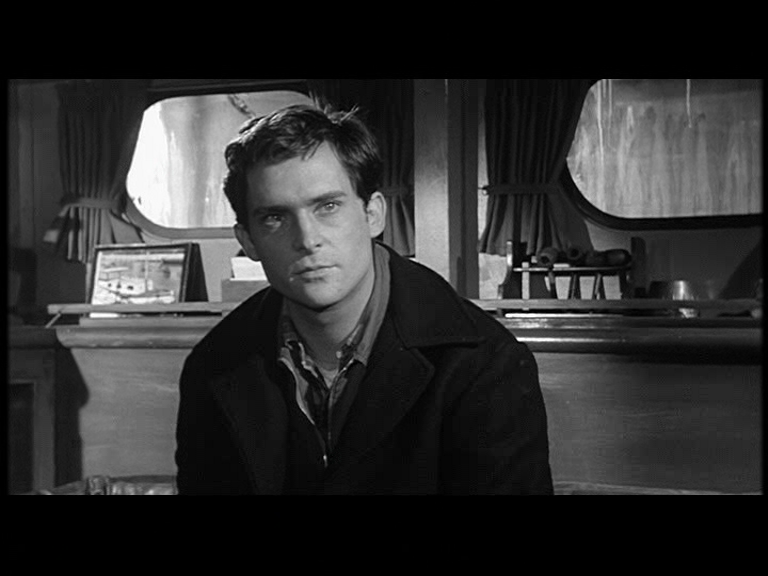 Francis pushes in on eyes and razors, a Bunuel by implication. At the end of the movie, everyone’s in hell, especially Donald Sinden, who didn’t really do anything to deserve it and who didn’t actually die in his episode. You want logic? Go next door, they’re showing Rossellini’s SOCRATES.